Vancouver-based Pure Multi-Family REIT LP said it is buying the 368-unit Alexan Fairmount apartments located just off Maple Ave. Built by developer Trammell Crow Residential, the project at 4210 Fairmount St. opened last year. The purchase is scheduled to close next month. Rents in the property average almost $1,600 a month. The property is more than 85 percent leased. 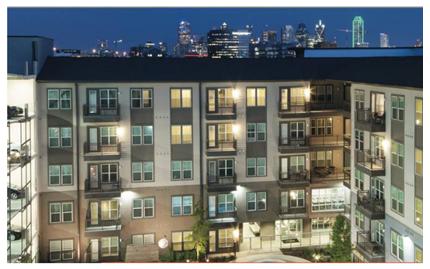 ​See ​Dallas-Fort Worth multifamily research​ and save time! Plus it's free.